The "Best EPs of 2012" or, maybe, "The most interesting EPs IMHO". The "Best albums of 2012" will be posted in the following days. Regarding the EPs, I must say that 2012 has been an amazing year, better than the previous years. The present and the future of Celtic Punk can be found on this list. If your band is not on the Top 10, don't be unhappy. The quality was so high that it has been extremely difficult to rate all the recordings. Any Celtic punk fan should get ALL of the EPs on this list. 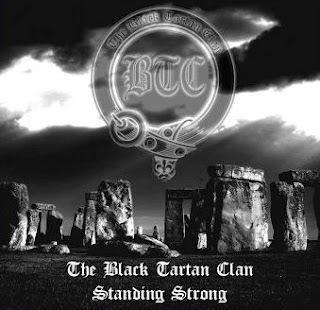 1 Black Tartan Clan "Standing Strong"
2 Celkilt "Hey! What's Under Your Kilt!" 4 Bastards on Parade "Shallow Waters"
5 Lexington Field "Poor Troubled Life"
6 The Rijsel Irish BoyZ "s/t"
8 To The Last Drop "s/t"
9 Drunken Fairy Tales "You Will Never Drink Alone"
10 Belly Bluster "La Ciurma"
12 3 Sheets t'Wind "Break from Tradition"
13 Handsome Young Strangers "Thunderbolt"
14 The Beer Barons "s/t"
17 Loch Nesz "The Monster's Close"
18 Les Tricards "Ma Revolution"
19 Auld Corn Brigade "Our Flag"
20 Gerap Gurita "Atas Nama"
21 Tom Fooligans "Five Rounds"
22 The Working Class Symphony "Satu Jiwa"
23 The Detonators "R'n'R Keeps Me Alive"
Reviews posted under Creative Commons. Powered by Blogger. REVIEW - DRUNKEN DOGS "Marbhmisgeach"
VIDEO - LOCH NESZ "Never Say Goodbye"
FREE DOWNLOAD - DAVE HUGHES "Xmas EP"
ROIO - PEATBOG FAERIES "Live 2012"
VIDEO - BLACK TARTAN CLAN "Don't Walk Alone"
FREE DOWNLOADS - FIRKIN "Live EP"
THE ROUGHNECK RIOT - VIDEO "This is Our Day"
ROIO - TRI YANN "Fête du blé 2012"
ROIO - FLATFOOT 56 "Live 2012"